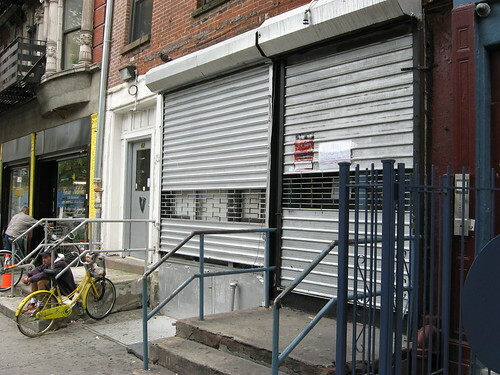 Last week we reported on Nublu’s fight to stay open on Avenue C, despite the State Liquor Authority’s ruling to cancel the nightclub’s liquor license owing to its location less than 200 feet from a Kingdom Hall of the Jehovah’s Witnesses. Now owner Ilhan Ersahin, who is currently traveling, tells us over e-mail, “Our only way to return is to get beer and wine at this point. Our lawyer says it is impossible to get liquor back.” Meanwhile, the comments section of our original post continues to buzz with outrage over the club’s shuttering, though one person, T.M., did defend the move: “People like Ersahin, who laugh in the face of community standards, should just have their license revoked.” The rest of the comments, as you can see below, varied between between praising Nublu and chastising the SLA. Have a different opinion? Throw it into the Chatter Box. “That law is the most stupid and the most ridiculous law there is . I can list 20 bars and restaurants in downtown Manhattan that is 200 feet closer to a church or a Mosque or any kinds of house of worship…” — E.
Update | 10:31 a.m. Minutes after publication, this post was changed to include Mr. Ersahin’s quote, which had just come through over e-mail.